We are pleased to announce, we have ordered our first fully simultaneous 5 axis machining centre from Hurco. With a X, Y, Z travel of 1,524 x 600 x 610mm it is a truly versatile machine and compliments the existing 6 Hurco’s, which range in table size from 1,500mm up to 4,200mm. Ideal for the current growth in the low volume automotive press tooling. The latest investment, made after a visit to Mach 2018, follows strong business growth, securing long term contracts in both aerospace and defence industries. “Throughout 2017, the whole team at Cube have worked hard to attract and deliver significant projects in the aerospace and defence industries. The reward is signing long term agreement with Prime manufacturers in both sectors throughout 2017. With the growth in low volume automotive press tooling market, our investment plan always included simultaneous 5 axis machines. The machine, which is due to be delivered in early May, will be commissioned and in use by the end of that month. While the justification of the purchase is based on one contract, it is evident since making the commitment that there will be time savings on a number of the projects we under take. 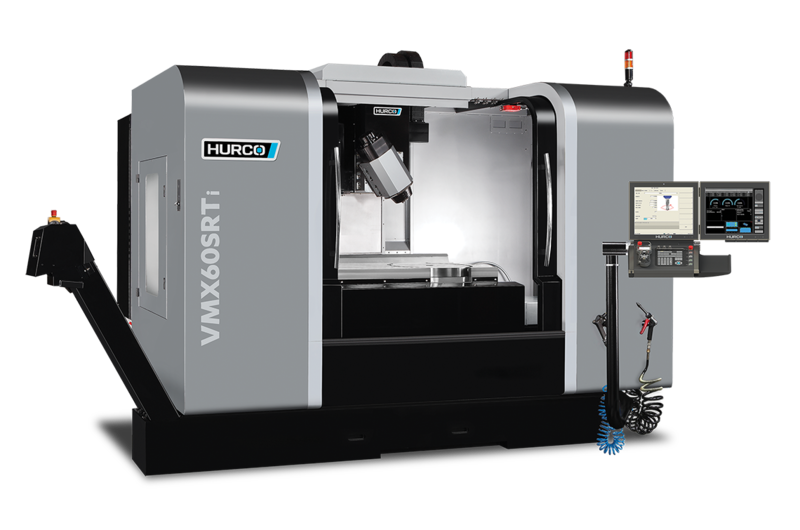 Another huge benefit of the machine to Cube is that its operators, already familiar with using the twin-screen WinMax / Ultimax control on the other 6 Hurcos on site, could move seamlessly onto the identical CNC system controlling the VMX60Srti.